Since every calorie counts for weight loss and optimal health, Dr. Gott's No Flour, No Sugar Diet resonates well in the dieting world. Dr. Gott has simplified the act of reducing calories by summarizing it in four words, "no flour, no sugar". But, is it as easy as it sounds? Peter H. Gott is a medical doctor who can be read in over 350 newspapers across the country each day. He writes a popular health column where his no-nonsense and credible advice shines through the seemingly endless confusion related to health, weight management, and overall well-being. This diet plan, a national bestselling book, is what it says: lose weight by eliminating flour and sugar from your daily dietary intake. It is a basic premise of cutting calories by eliminating "empty" calorie foods. Dr. Gott has chosen flour and sugar as the main culprits of empty calories because there is little nutritive value to many foods made with these two ingredients. However, high calorie consumption from any food will cause weight gain. While Dr. Gott's approach may sound easy, it is important to get a full understanding of flour and sugar in all its forms and shapes. The exception to any of the foods listed above is their whole grain counterparts. For example, if you are choosing crackers or breads that fit on this diet plan, whole grain varieties are acceptable. Also, brown rice, corn, and potatoes are allowed. 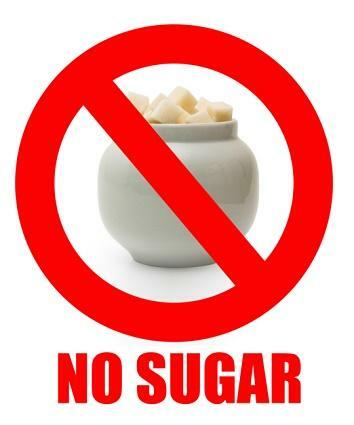 Foods made with no-calorie sweeteners such as sucralose (Splenda) and aspartame (Equal) are permissible. It may not seem as simple as it initially appeared; however, Dr. Gott does include several tools to help you follow his plan as easily as possible. Since knowledge of flour and sugar is so inherent to the entire plan, the book addresses the important aspects on food labels. There are also food lists, charts, meal plans, and recipes to assist with daily food choices. Exercise is discussed as well, with the recommendation of at least 30 minutes of physical activity each day. After digesting the full contents of Dr. Gott's No Flour, No Sugar Diet, one may begin to see similarities to the South Beach Diet or similar reduced carbohydrate diets. In fact, weight loss is a result of reducing calories by reducing refined carbohydrates in the form of flour and sugar. The strategy works because of the calorie deficit it produces. However, Dr. Gott is the first to announce that this is a slow and steady process, one that requires patience, persistence, and the occasional plateau, for which he offers tips for overcoming. What the book does not discuss is the psychological aspect of eating habits, such as why we go for the chocolate or macaroni and cheese when we are feeling stressed, tired, or upset. Like all diets that rely on food restriction, this plan is not easy for the person who depends on bagels, donuts, and pizza for comfort. There are no underlying hazards to this diet and it is not a rapid weight loss scheme. Dr. Gott defines a safe rate of weight loss as one to two pounds per week, which is exactly what he promises if you follow his advice. Because this diet plan includes whole grains, fruits, vegetables, lean proteins, and low fat dairy, it is appropriate for adults and children. However, to ensure that you are receiving an adequate amount of nutrition, including energy from protein, fat, and complex carbohydrate, and all your required vitamins and minerals, it is best to seek the support of a nutritionist who can assess your individual needs and adapt the program accordingly. Also, any person with specific health conditions, such as cardiac disease, diabetes, liver disease, or kidney disease should speak with their medical team before beginning any weight loss and/or exercise program.